When you start thinking to make your personal website after launching your website, you should submit your site in Google Webmaster Tool, which is the first spot where you submit your dream website. Google Webmaster Tool is the free of cost tool for Webmaster’s and it provides several features which you can use to optimize your site or blog for better user experience and this tool will help you a lot and of course search engine. Furthermore, it will assist you to get your goal of conversion, subscription or earn more with ad clicks. I know you guys read plenty articles on Webmaster Tool and how to use it. If you use this tool you can easily optimize your site and blog. Today, I decide to give you more insight on using search queries section which is available in Google webmaster tool, and this tool is very essential for improving your search engine presence. 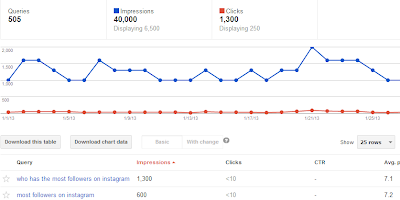 First you enter Google Webmaster Tool which comes under traffic column (Search Queries). Over there you can find several significant details like keywords queries are being utilized by folk to search your site or blog, CTR quantity and most crucial what’s the avg ranking. You can understand all these terms. If you want to know how they perform work then watch official video which is released by Google. Maile Ohye has described entirely stuff which is essential to know about using GWT search queries tab to make better conversion, improving your top pages, and other stuff you can use to improve your site\blog. Generally I gather this statistics with some other data provided by Google Analytics to optimize the pages, and hence improve the total user experience. 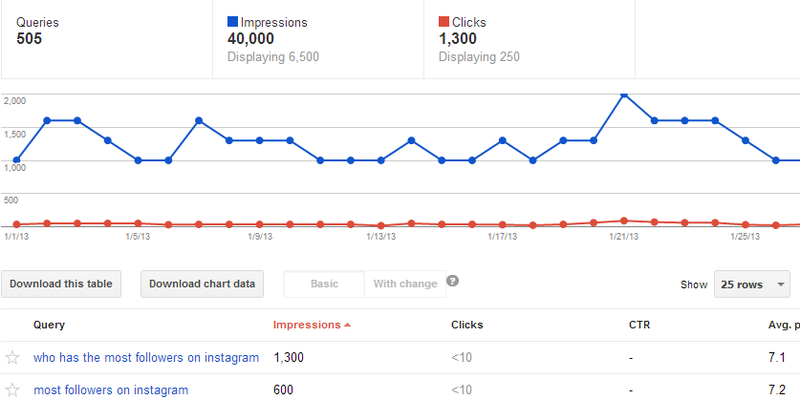 If you see that your impression much higher but clicks in not effective, have you considered about it? Why this happening to you? No, now I share you answers. First we need to check which stuffs are affecting our site or its page. Your page meta-description and how result from your page is showing in Google search engine. These things which can help you to increase your CTR like, improving meta description, include author photo, removing dates and various other tricks that you could apply. I do one thing if I see that my keywords position is between 8 to 20 then I will work more on these keywords. Why? Because these keywords drive traffic, one more thing is remember when I talk about improving the page, it means improving the entire quality of the page, including maintaining the SEO of your page. If you know about your top landing pages and by improving them, you can decrease your bounce rate, avg time and also use that page to drive traffic to other significant pages of your site. Check out your top pages, sort page by clicks and improve that page more. Above video is necessary to all whether you are blogger or Webmaster because if you don’t see then how you can understand the search engine works. It will help you to understand search engine works but most important thing is how you can use Google Webmaster tool to improve your blog and site to great extent. If you love this content useful and helpful, do consider sharing it on FB, Twitter and Google+. You can also subscribe to our Email newsletter, for more post.